Home stagers unite to show our buying power! 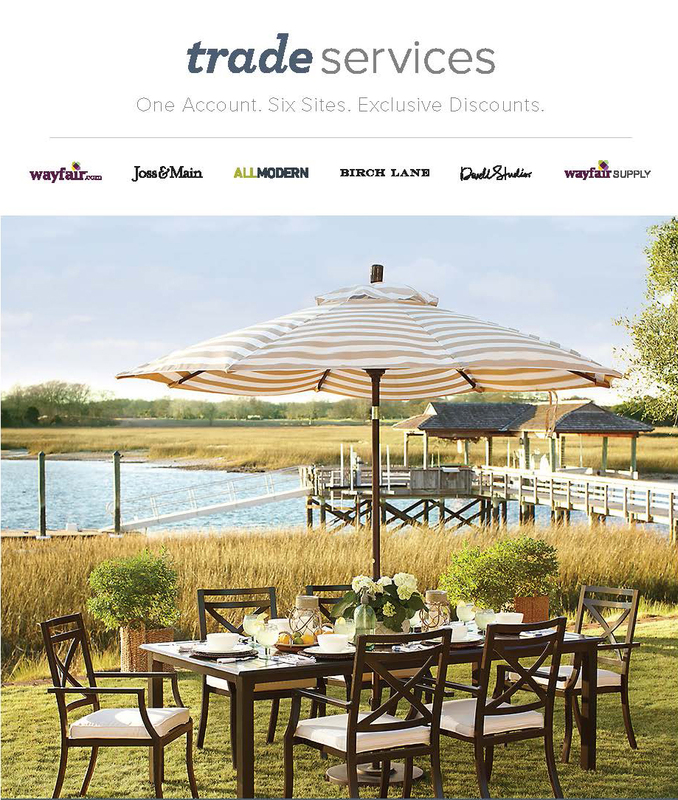 Join Wayfair’s Trade Services and identify yourself as a RESA member. Get access to a catalog of over 7 million products, perfect for all of your residential and commercial projects. 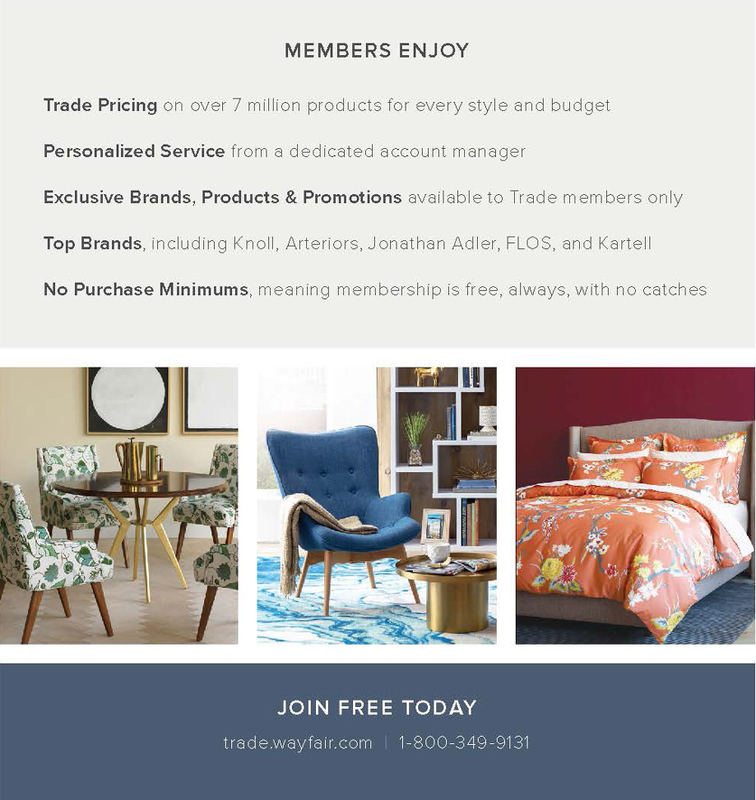 The program is free, and with verified trade credentials, you’ll also receive insider pricing on top brands, personalized service from a dedicated account manager and access to Trade-exclusive product collections, all with no minimum purchase requirements. Join free today!